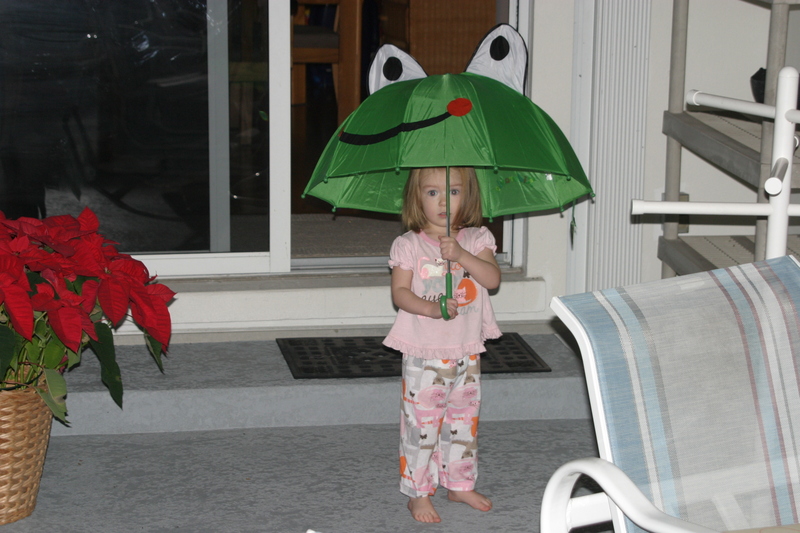 All our girl wanted for Christmas from Santa was an umbrella. I have a feeling Santa won’t always have it so easy. We got about 5 minutes of rain while we were in Florida and none yet since we’ve been home. 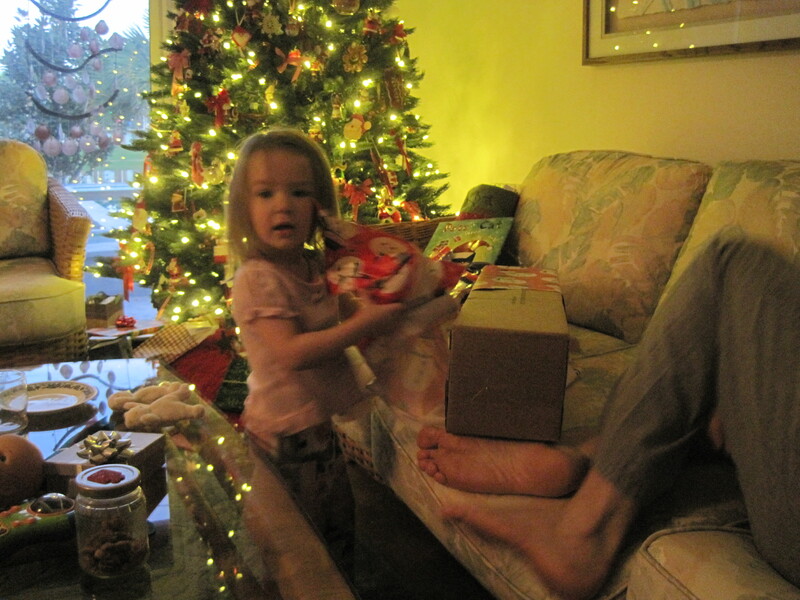 I can’t wait until she can really use her gift from Santa. Love the umbrella!!! where did you find it? I can’t resist froggies.